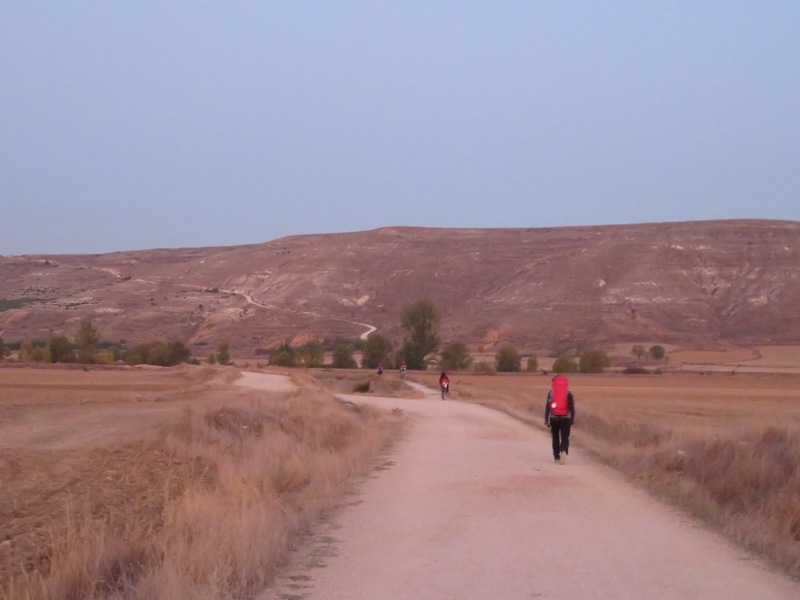 Meseta is quite a change and is challenging in its own right though much easier walking. You are presented with bleak landscape contributing to some boredom, plus heat, etc. 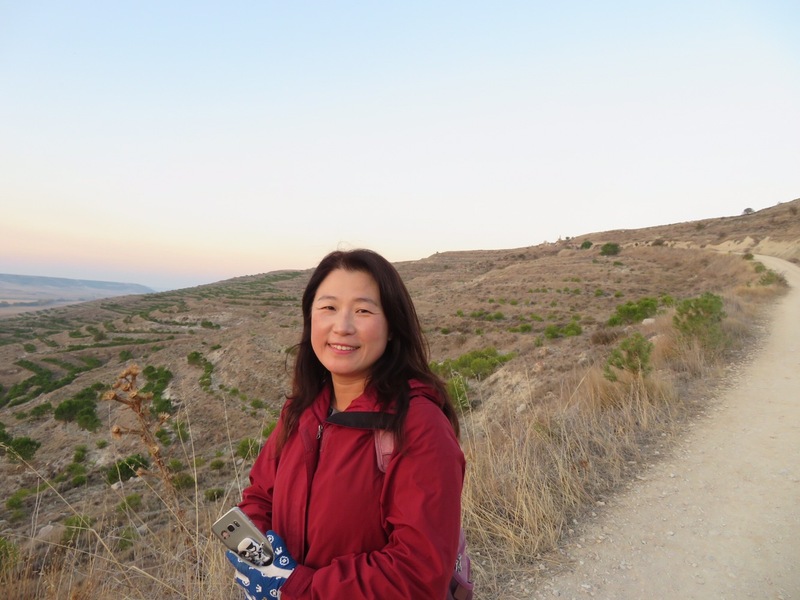 I walked on and off most of the day with a lovely Korea woman, a professor of international affairs, on sabbatical. Her English was limited and my Korean nonexistent so it was a quiet day. 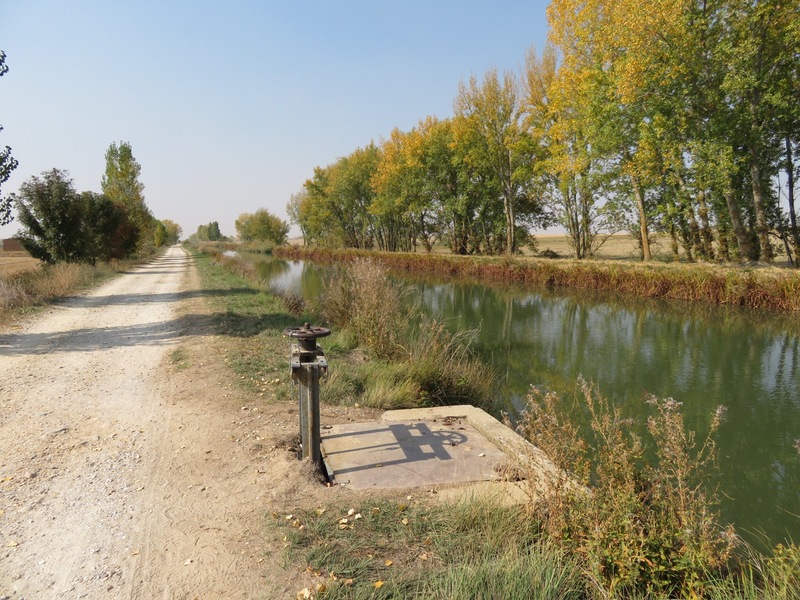 This section really highlights the remarkable irrigation system of canals and viaducts. I am told that is much more sophisticated than it appears. 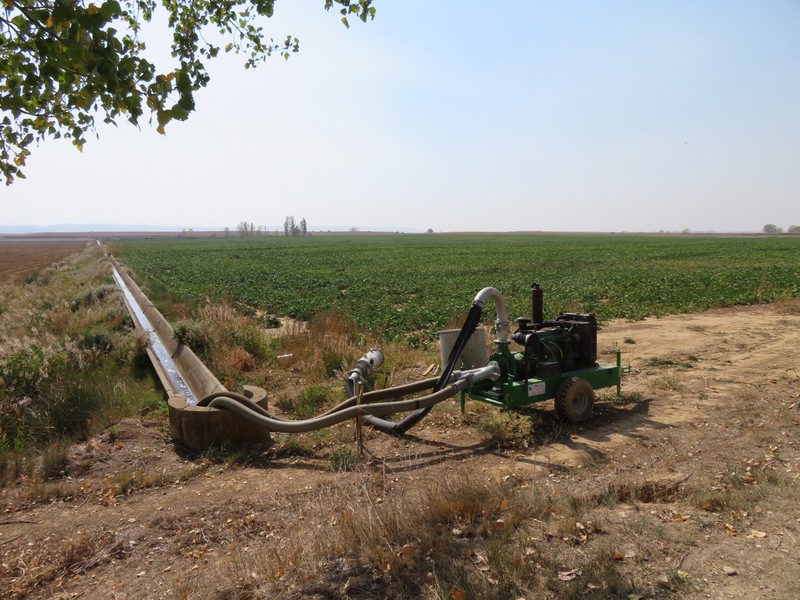 The Spanish developed irrigation systems before the romans. 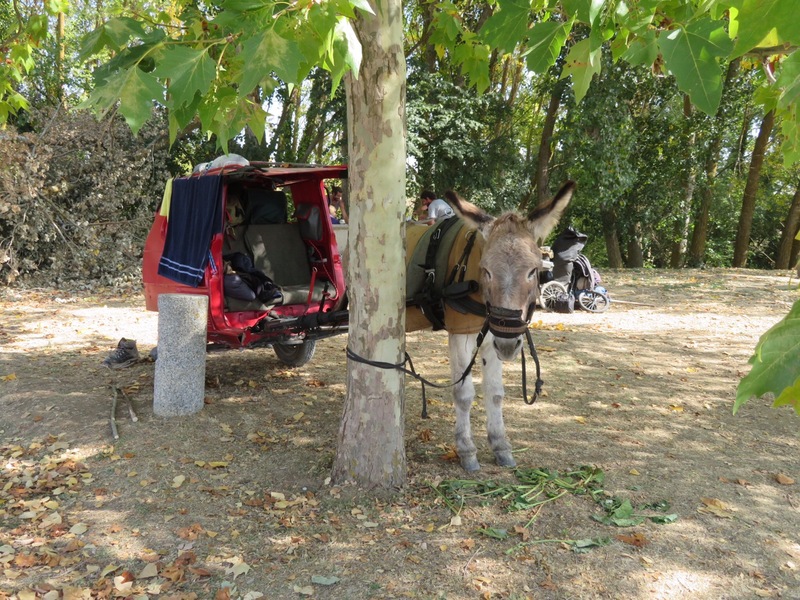 I stopped at the main canal junction to say hi to Marianne the donkey, who is pulling the car/cart, to give her an apple. I ended up chatting with a couple of very lovely and cheerful Irish girls who said that my hat made me look like a Shaman. As soon as I checked into the albergue I became stomach sick. It was a long rough night. The hosptilera was very kind and provided a blanket. I do so hope you’re feeling better. 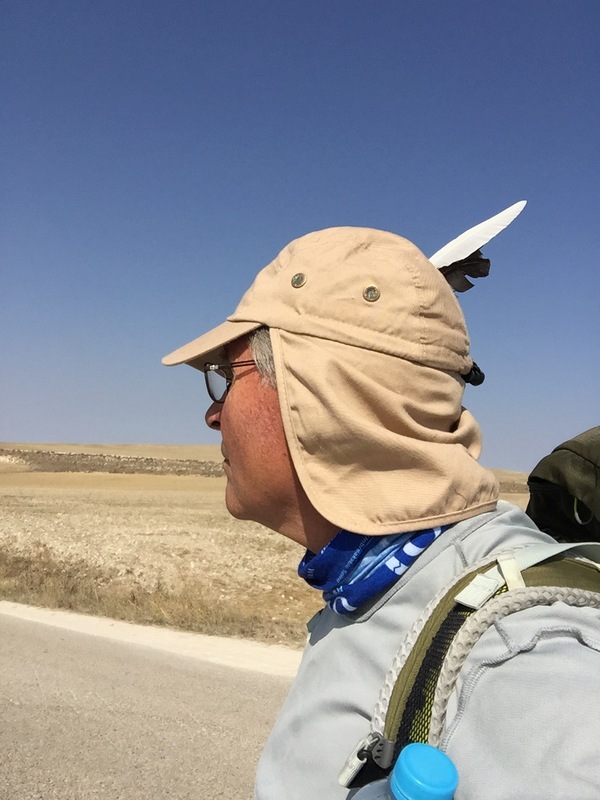 During my time there, people were getting something we began referring to as the “Camino Cough”…ran right through the albergues. 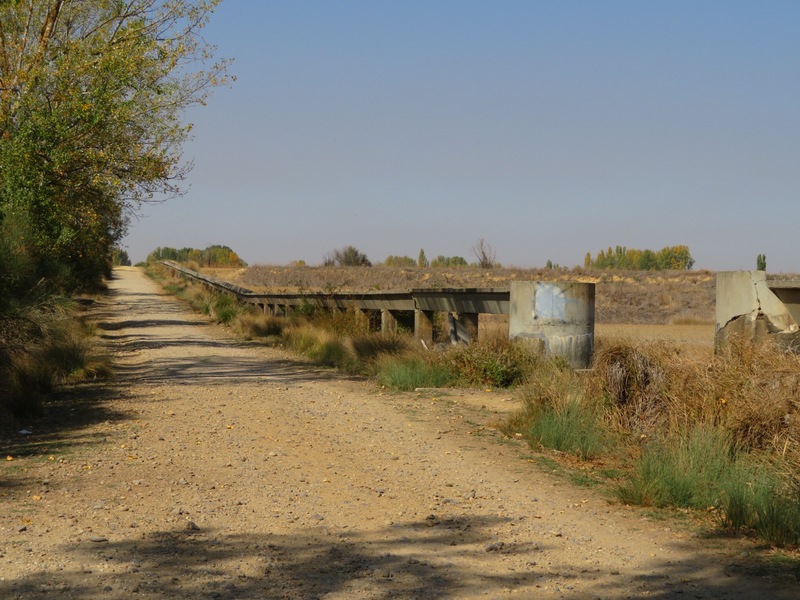 Seems there is always a challenge, especially on the Meseta. This too shall pass (one could say). The pictures are wonderful to see. What a different look it all has during the fall! I’m sure other springtime pilgrims would agree. I well remember that climb in the first shot – right after Castrojeriz. The view from the shelter on top of the mesa was breathtaking. Buen Camino! And don’t let that shaman thing go to your head. Bill, I am always looking forward reading about your stories , people you meet and beautiful pictures!! I think it is the feather on your hat that makes you a Shaman, but do believe you are not truly in another spiritual world , only a different experience with your feet still on the ground!! Cannot wait to hear all your stories when back in the US. Thank you Brother. Love following g you! Glad you are better.